Spring has finally sprung - time for me to swap my duvet for a fluffy spa robe and catch-up with the girls. When I pitched this idea, some of my friends seemed a little concerned. Would we spend the day feeling like naughty schoolgirls, trying not to upset serious spa-istas with our whispering and giggling? Fear not, said I. There are plenty spas that are great for socialising. These spas tend to have a wide variety of thermal facilities, and plenty of space to enjoy the spa without crowding other users. There were even more takers when I mentioned exclusive use or private rooms, some of which don’t cost much more than a normal spa day. That way our laughter can hit the highest decibels without us being those “annoying women” in the spa. Plenty of spa days are cheaper than a price of a decent restaurant meal. Plus, there’s no hangover to deal with the next day, and you will remember what you posted on Insta stories -- you and your mates posing glamorously in a hot tub, of course. 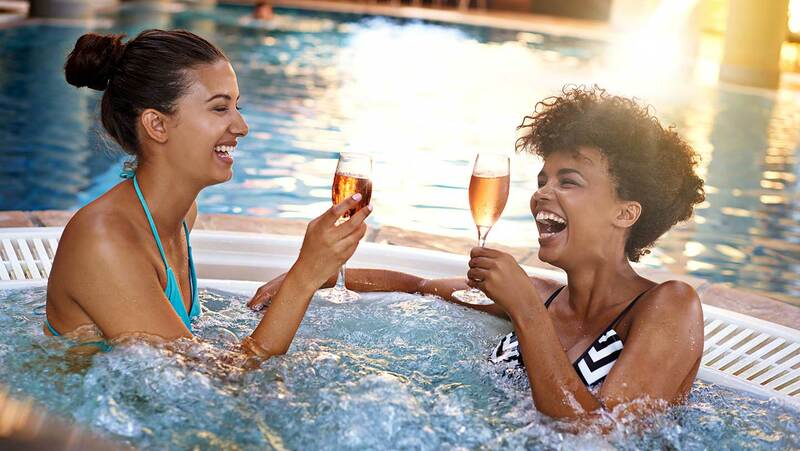 From extensive thermal facilities, to quirky chill-out zones, these sociable spas are packed full of personality: perfect for a girly catch-up. Y Spa at The Waterfront Hotel’s location on the Bedfordshire/Cambridgeshire border makes it easily accessible for scattered friend groups. Sip prosecco in the pool and explore the five cheekily named thermal experiences. Visit in the warmer months to make the most of their outdoor bar. It’s fantastic value for money too. 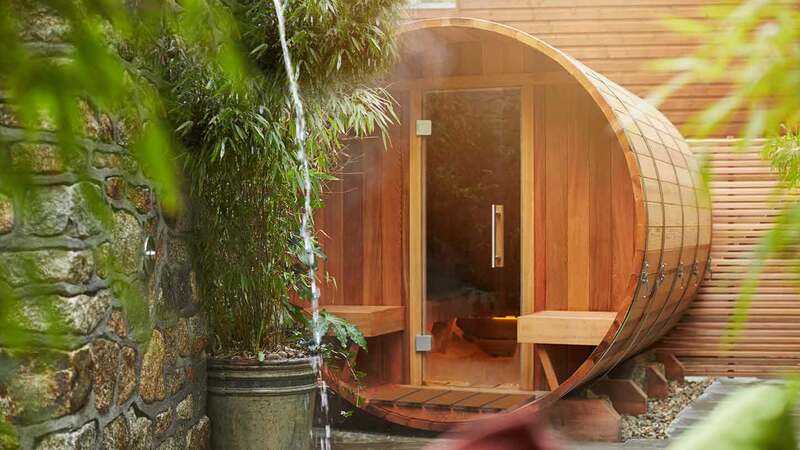 If a multitude of thermal experiences and pools is what you’re after, you’ll love the The Woodland Spa in Lancashire. There are seven pools to explore and the outdoor terrace has a Mediterranean feel. Again, this spa is great value for money and is very popular with groups. If you’re looking for a smaller sociable spa that’s still great value for money, try Imagine Spa at Blofield Heath in Norfolk. There’s a sauna, steam room, rasul and hot tub in one area; if you are going in a large group, you can pretty much take over. 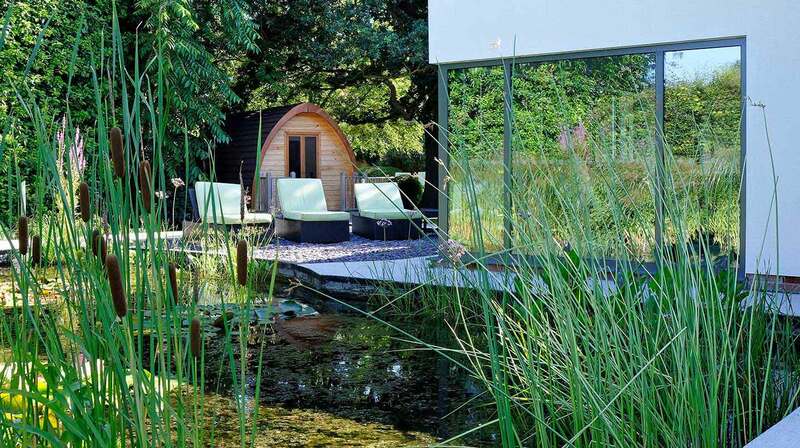 The pièce de résistance is the pretty spa garden with its outdoor cabins and lily pond (pictured). If you do like to be beside the seaside head to the Headland Spa in Cornwall. This red brick hotel overlooks Fistral beach and offers a variety of packages for groups, including surfing breaks. Their Girl’s Night In package offers spa use, a mini-treatment and a private screening of a chick flick -- with prosecco, of course. If you have a bigger budget and fancy a slice of five bubble luxury, head to Pennyhill Park in Surrey. The spa has a myriad of gorgeous pools and experiences for gossiping and indulging - there’s a poolside bar - as well as classes and a gym if your friends are fitness fans. If there’s a large group of you, it’s worth thinking about hiring a bijou spa for exclusive use. Smallshaw Farm Cottages and Spa in North Yorkshire offers three hours of exclusive use with their Simply Smallshaw package. 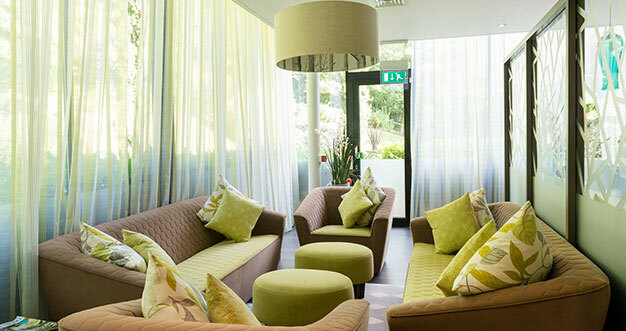 You can enjoy a two-hour spa experience at Inside Spa in Lancashire for up to 30 people. Down south, the quirky and fun Spa 15 in Bath offers exclusive use in the evening. Hideaway with friends in your own private room: chat away to your hearts content without disturbing other spa goers. 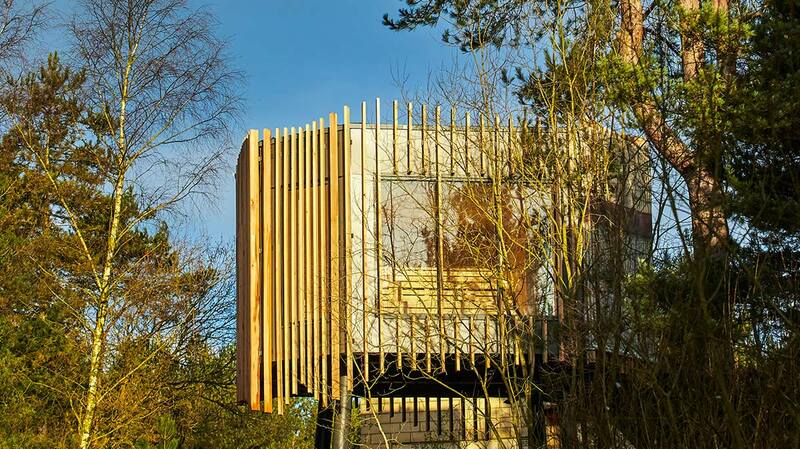 Aqua Sana Longleat Forest have the ultimate chill-out lounge, The Hideaway, (pictured) with its own garden and sauna; amazingly, it doesn’t cost that much more than a spa day. Plus, you get a delicious buffet spread and a mini-treatment. The Spa Spy is already a fan. 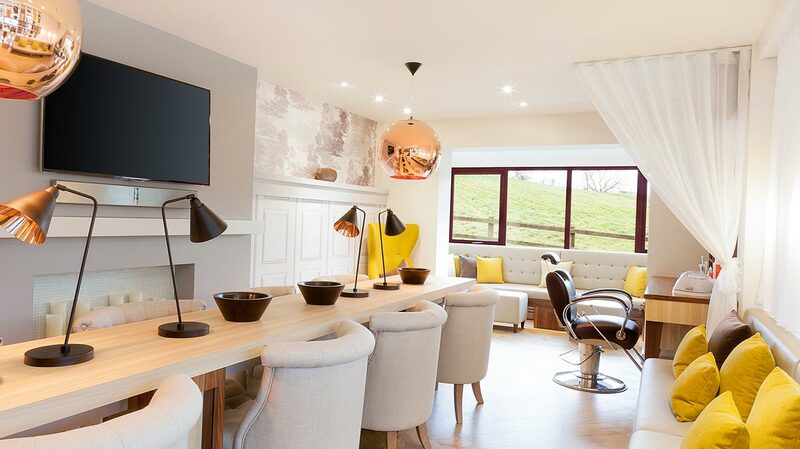 Moddershall Oaks in Staffordshire has the chic Snug (pictured) which is perfect for groups. 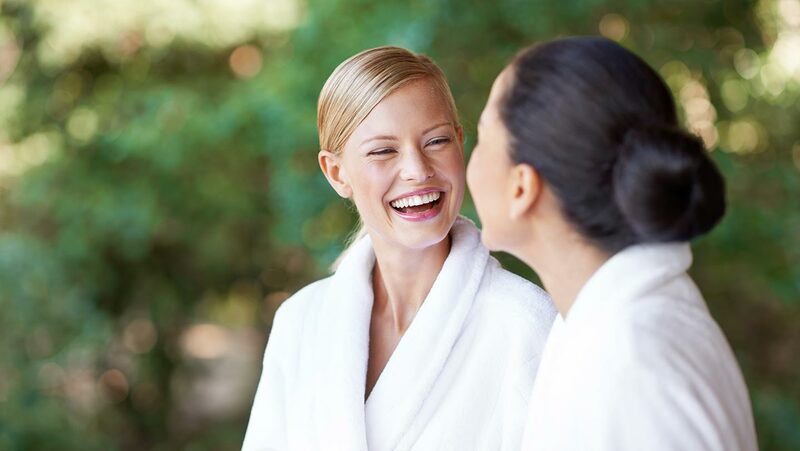 Enjoy bubbles, a customised playlist or movie, two mini-treatments and deli boards to share. You’ll be given some Elemis treats to take away with you, too. Londoner spa goers will love Agua at Mondrian’s Glamour room. There’s a range of packages to choose from which include treatments and bubbles. You can also book a private mud party. The spa world has recoiled from offering hen-do packages, but times are a changing. Hens at a spa tend to be more sedate and better behaved than those on the town. The Handpicked Hotel group offers a range of Hen Do packages at their spas (Norton House, Fawsley Hall and St Pierre Park to name but a few.) You can enjoy use of the spa, a treatment, a manicure and their infamous cream tea. You can also stay the night and extend your revelries. Weavers’ House Spa in Suffolk have a range of hen packages; enjoy exclusive use of their small but beautiful spa, a 60-minute facial or massage and a glass of bubbles on arrival.